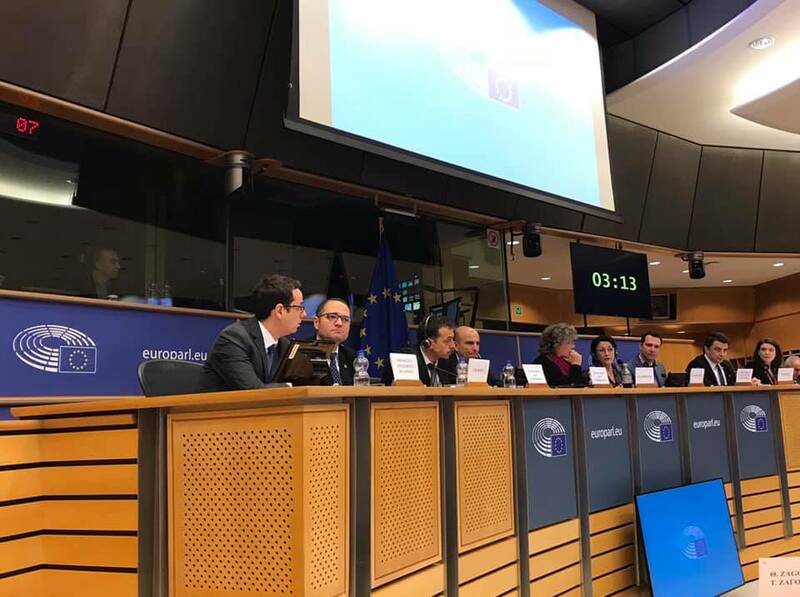 Today, on the 22nd of January 2019, at the European Parliament, the Minister of Youth and Sports, Bogdan Matei, presented the priorities of the Romanian Presidency of the Council of the European Union in the fields of sports and youth. Minister Bogdan Matei stressed the importance of equal access to opportunities for young people, highlighting the cases in the field of youth that will be managed by the Romanian Presidency: the European Solidarity Corps and Erasmus, as well as the implementation of the EU Youth Strategy, which includes, amongst others, a new EU Youth Dialogue. „The main subject proposed by the Romanian Presidency in the field of youth refers to the increase of youth adaptability to the challenges posed by the future of work, on the basis of which we will propose a set of Council conclusions. Moreover, when it comes to the future of work, it is important that we include perspectives, ideas and solutions pertaining to young people, as they are at the forefront of the huge changes that take place in the labor market. The EU Youth Conference, an event of paramount importance, part of the EU Youth Dialogue process, conference which will be held in Bucharest between the 25th and 28th of March 2019, will give the young people the chance to reflect on this subject, with the purpose of generating ideas and solutions that address their concerns, but that also address our own concerns as decision-makers“, said Bogdan Matei. In the field of sports, Minister Matei specified that the access to sports for people with less opportunities is one of the priorities of the Romanian Presidency of the Council of the EU, which will result in a set of conclusions on the access to sports for people with disabilities. „In line with the announced priorities we intend to organize a conference on sports and people with less opportunities on the 14th of June 2019 in Constanta, where the topic of disability will be highlighted“, declared Minister Bogdan Matei. The Romanian Minister also referred to the contribution of the EU Member States and, implicitly, to Romania’s contribution in the fight against doping in sports, as well as Romania’s support for WADA.